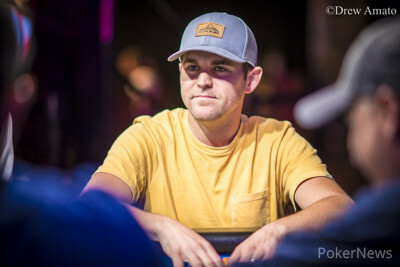 Twenty-one players returned for the final day of the proceedings in the $1,500 Pot-Limit Omaha Hi-Lo 8 or Better, and they were led by Millard Hale. Among the early bustouts were Christopher O’Rourke and Bernardo Dias, and the field lost two of its highest-profile names shortly before the final table. Once the final table was set with Jason Riesenberg’s 10th-place finish ($12,034), Wendy Weissman was the first casualty in ninth place ($15,470). Then followed a quiet period, with the eight remaining players trading chips back and forth, none of them able to make a considerable enough dent in the others’ stacks. By that point, Gamble had around a third of the chips in play, and watched as the likes of Henson and Adam Hendrix tried to catch up to him. Hendrix’s cause was helped by the elimination of Miguel Use in sixth ($36,106), but Gamble pressed his chip lead again when he knocked out Marco Johnson in fifth place ($49,379). 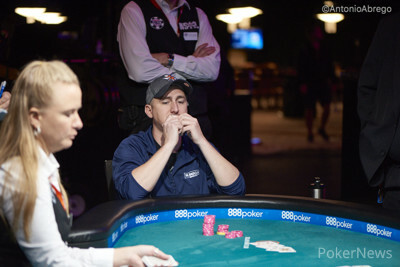 The result was Johnson’s second-consecutive deep run in this event, following his third-place finish in this event last year. In the very first hand of heads-up play Adam Hendrix limped and Nathan Gamble checked. "Let's get this done in one hand," said Gamble as the pair saw a flop of . Gamble bet 120,000, and Hendrix raised pot and was all in. Gamble called, and the hands were turned over. The turn was the and the river the . 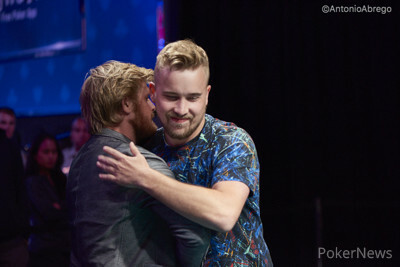 Just like that, Gamble finished off his last rival, eliminating Hendrix in second place for a $137,992 payday. Nathan Gamble's avalanche is still raging. Gamble just added another knockout to his collection, sending Ray Henson to the rail in third place. The action was quick and simple. Henson potted from the button, Gamble put in enough chips to cover everyone, and Henson called all in for about 400,000 total. The board favored Gamble, just like many of the previous ones. "Good game, Ray," Gamble said, shaking Henson's hand. Henson took the bronze medal, pocketing $96,555 for his efforts. He started the ten-handed finale with the second-shortest stack, and he stuck around for much longer than most of his opponents may have expected. Gamble now has a devastating chip lead heading into the final duel for the bracelet. Nathan Gamble raised to 125,000 from under the gun. Michael Gross moved all in for around 300,000 from the big blind, and Gamble called. The board ran out , giving Gamble quads and eliminating Gross. "Do you ever get tired of making quads?" asked Henson. 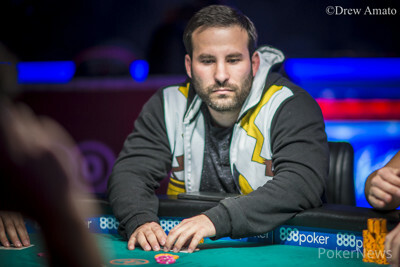 Gross took home $68,544 for his fourth-place finish. Ray Henson raised to 150,000. Michael Gross called in the small blind, as did Nathan Gamble in the big blind. The flop came , and all three players checked. They also checked through the on the turn, and the river was the . Gross checked to Gamble, who bet 200,000. Henson folded, and Gross called. Gamble showed , and that was good enough to take down the pot and leave Gross with less than 250,000 in chips. Michael Gross found himself unlucky in a spot against Nathan Gamble when they got it in preflop. 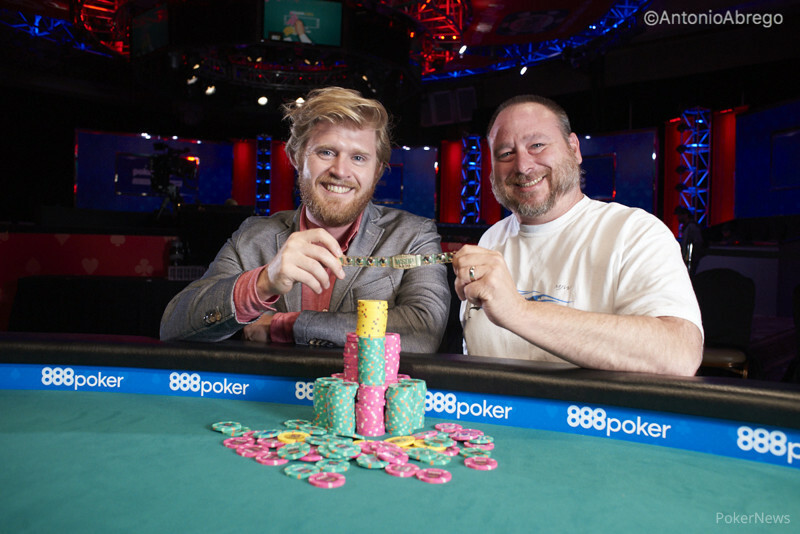 Gross held double-suited aces with , but he couldn't scoop Gamble's as they chopped. The two players tangled again a few moments later. Gamble opened to 125,000, and Gross called from the big blind. Gross check-called another 275,000 on the flop, leaving himself with less than a pot-sized stack. The turn brought a check from Gross, and Gamble kept pushing. He placed in a pile of the most valuable chips worth 100,000 apiece, covering Gross' belongings. Gross took a deep breath and folded. Marco Johnson's second-consecutive deep run in this tournament has come to an end at the hands of the runaway train that is Nathan Gamble. Gamble raised to 125,000, Johnson three-bet all in, and Gamble called. Jonson looked to be fairly live for at least half the pot on the flop. The on the turn limited those possibilities somewhat, and the on the river slammed the door shut, giving Gamble quad sevens and eliminating last year's third-place finisher in fifth place for $49,379. Nathan Gamble is guarding a monster stack, and he's using it as dominant leverage. Gamble demonstrated that in a recent pot against Michael Gross. The hand started with Gross opening to 125,000. Gamble called in position, and they went to the flop. 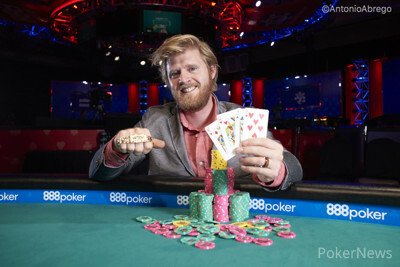 While Gross didn't bet on the flop, he did bet the turn, and Gamble paid 150,000 to see the river. The river card slowed Gross down, and Gamble perhaps smelled blood. He bet 480,000. Gross took only about 30 seconds and then folded, showing the . After pressuring Gross off his trips, Gamble soared to 3,000,000 in chips.